An accurate time source is needed for many computer applications. 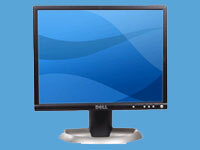 Every Personal Computer comprises of an internal Clock, it is benificial to check the date and time settings on your PC daily. For critical application, you should synchronise the time base with a highly accurate external time source. Personal Computers are not designed to be perfect clocks. Their design has been optimised for mass production and low-cost rather than maintaining accurate time. Where time is crucial to the application, there are a number of precise external references available that enable computers to maintain accurate system time. This article looks at the various sources of time references to show how they can be utilised to maintain synchronised time on your computer. Working to a synchronised time base is essential in computer networks. Without any external reference, individual computers will start to drift, anything from a few seconds to a few minutes each day. Clearly such a situation would not be acceptable when processing transactions or performing time critical tasks. On the Internet this problem has been solved by introducing the Network Time Protocol (NTP). The NTP protocol supports the distribution of accurate time from a highly precise time server to network time clients. Most modern operating systems have the ability to synchronise time with an NTP server. Generally all that is required is the IP address or domain name of Stratum 1 or Stratum 2 NTP servers. UNIX and LINUX operating Plattform is able to download the complete NTP application from the NTP website.ntp.org NTP is freely available, open source software, available under the GNU public license. 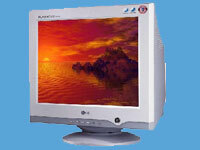 Mirosoft Windows XP/2000/2003 and Vista system software use a standart SNTP client for Simple Network Time Protocol. This is based on a sub-set of the Network Time Protocol, using a simplified NTP algorithm with many of the more complex high precision routines removed. The Windows operating systems allows an IP address or domain name of a internet NTP server to be inputed into a time properties tab. The SNTP client will then contact the NTP server periodically in order to update and synchronise system time. Alternative methods will be required for standalone computers and systems which do not have access to the Internet. These can be provided with a local access to national radio time references which are transmitted free-to-air. All that is required is a small RS232 serial or USB radio receiver, and the PC can obtain continuous accurate time. 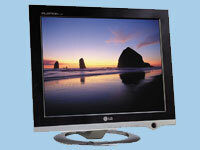 The PC system time can then be synchronised to the received time and frequency radio source. Radio broadcasts are identified by their 'call sign' The UK time transmitter call sign, MSF, is located at Anthorn, Cumbria. Similar arrangements exist in Noth America ? call sign WWVB from Colarado. Germany is covered by DCF broadcast from Mineflingen, near Frankfurt. National broadcasts are also available in France, Switzerland, Japan and Canada. The only shortcoming with national radio time and frequency solutions is that they have a finite transmission range. In general they are limited to geographic boundaries also. Such issues do not apply to the Global Position System (GPS) a satellite based universal navigation system. Each GPS satellite carries a highly accurate synchronised atomic clock. This enables GPS to provide precise timing information anywhere on the face of the planet. All that is required to receive the transmission is a low cost-cost GPS receiver and antenna with a clear view of the sky. PC connections are similar to the radio transmissions configuration, using a serial or USB port, enabling accurate timing information to be available continuously. Copyright (c) 2007 Galleon Systems. ABOUT THE AUTHOR Magdalena Sperber provides authoring services about computer time synchronisation. 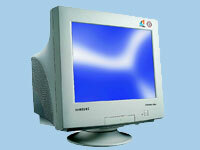 Click here for information on Windows 2003 Radio and GPS time Server systems.